Remember when I wrote finding your divine inspiration? I have promised to eleborate on the sources of inspiration that you could use to write. Out of blogging ideas? Don't worry, I have your back! Today I want to inspire you by giving you a bunch of writing prompts. I used a list of questions that you could ask yourself and surround a post around and made them into concrete writing prompts. Some of the questions I thought of myself. So, a little bit of me and little bit of outside inspiration. This is different than a tag, which goes around the blogs and is passed on. I've also catogorized them, so you can select a possible niche that suits you. You will find a prompt and a suggestion that you could use if you wish. Write a post about your weirdest petpeeve. Suggestion: why does it annoy you? What do you wish you could do to make it stop if there were no consequences? Write a post about the most funny and embarassing moment in your life. Suggestion: please gives us a giggle, you know we love it! Share your favourite list of comedy movies with us. Suggestion: Your top 5-10. Share the most hilarious moment of the movie. Suggestion: Surround the interview on their perspective of the topic humor. Write about the best travel adventure you ever had. Suggestion: Did you ever get lost? Did you get invited to a Greek wedding? Did your trip take an unexpected turn? Share your all time favourite city with us. Suggestion: Make your post as visual as possible. Take us on a tour, will you? Make us feel like we are there with you. Write about the strangest meal you've ever had. Suggestion: Think out of the box. Not only the food, but also the situation. Where there any odd people around you? What made the whole picture? Write a post telling us one fashion trend you really don't understand. Suggestion: I don't understand these sunglasses that look like a big unibrow. Write about your favourite piece of clothing ever! Suggestion: Go down memory lane. I'm weird, cause mine is a gala dress. Tell us what your fashion line would look like if you had one. Suggestion: Imagine you had unlimited budget. What would you create? Write a post about what absolutely never to wear. Suggestion: Think about the perfect outfit for each body shape. Share your last window shopping experience with us. Suggestion: Did you know they have windowshopping contest? Yeah, me neither. Write about your favourite line for beauty products. Suggestion: For me nothing beats rituals, but then again I'm a habit gal. Once I find something I love, I stick with it. Share your beauty hacks for the morning. Suggestion: Focus on writing up something that will take 15 minutes maximum and do a step-by-step. Give us a do it yourself beauty tutorial. Suggestion: what do you use to make your own lipstick, beauty face mask, or shampoo? Suggestion: We all love to know what's new and out there. Ask them to give the world a sneak peek. Suggestion: Focus on your own at home make-over or go big! Share your favourite herbal teas. Suggestion: Tell us what healing qualities these herbals have and talk us through how they taste. Write about a situation where the kitchen exploded. Suggestion: Did you ever have your whole wall covered in dough? I most certainly had that happen. Gives us your quick and easy week menu. Suggestion: Meals that take no longer than 15-30 min to make and are healthy. Guide us through your meal preps. Suggestion: Focus on the steps you take to cut time on your evening cooking, or how your prepare meals for the week ahead. Share your favourite, nostalgic recipes from your childhood. 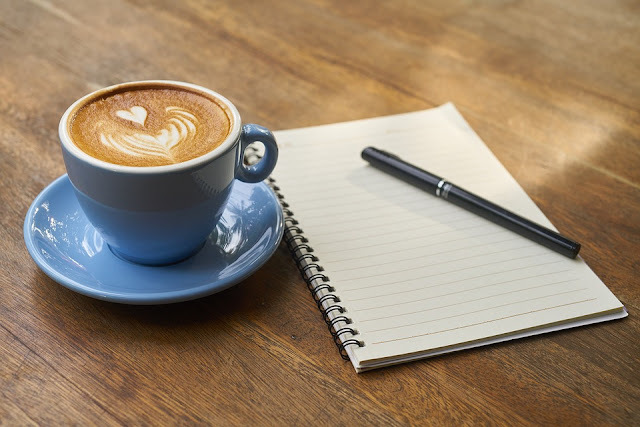 Write about the perfect morning ritual. Suggestion: Write out 2-3 ideas people can use immediately. Share your way to reach your goals. Suggestion: Do you have a special method that you use? Write a post about timemanagement. Suggestion: How do you manage your day, and keep enough time to do the things you love? Write the perfect recipe to feel happy. Suggestion: A feel good post to lift us up. Tell us how you turn the sour into sweet. Suggestion: How do you make sure that you turn a bad situation into a good one? Share affirmations you know people need in their life. Suggestion: Select 3 powerful affirmations people could live by. Write about what you do when you are being hard on yourself. Suggestion: Offer solutions to step out of negativity. Share your favourite selfhelp programme. Suggestion: A book, podcast, or course that changed your life. Write a post about making big life changes. Suggestion: Do you have a secret for succes we should know about? Set up an interview with someone you admire. Suggestion: Have them share 3 do's and 3 don'ts for life. Blog about your favourite childhood memory. Suggestion: is there something precious that you'll never forget and what made the experience so special? Share your life manifesto with us. Suggestion: Your vission, mission and passion in life. Write about the work you do. Suggestion: Do you have your own company? Tell us about it! Do you have a job your proud of, share it. Write a post that lets us in on the coolest thing that ever happened to you. Suggestion: Did you meet your fave celebrity? Did you end up making a surprise travel that changed you? Share your 5 year plan with us. Suggestion: Who would you be? What would you do? Post about your life as a guru of your special skills. Suggestion: The crazier, the better. Who would your followers be? Share with us what you would do with unlimited money. Suggestion: Start a theme park, have your own store, help build word peace. Write a post about a superhero quality you'd like to have. Suggestion: Tell us why, and how you'd use it. Blog about a weird topic. Suggestion: Personally I've never read a post about farts, any takers? Post about how a day would go if you were to say everything you thought. Suggestion: For inspiration watch liar liar. I hope these ready to go writing prompts inspired you to get your blogging mojo back! Which one would you consider using? Do you have a writing prompt for me you'd like to see me use? You may use any of these, and I'd greatly appreciate a mention on your blog or Twitter when you do. Have fun writing, my lovelies! Wow there are some fabulous ideas for blog posts here thanks for sharing 😃 I reckon a post on what people would buy with unlimited money would be a great read! And I'd also love to know what a day would look like if someone where to only tell the truth and said everything they thought. What a great list! I am a sucker for a list...and questions. Oh yes. I really had fun making this! It was so much fun to brainstorm for the niches. Great ideas here as prompts as well, I found myself answering some of the questions even when I was just reading them! Hahaha Nancy, I would LOVE to hear those. I once tried to make pizza dough in a blender when I was much younger and forgot to pyt the lid on, so the whole walls were covered! These are such amazing ideas. Love how you managed to write something for almost all blogging niches. You're so creative. Definetely gonna bookmark this and revisit when I'll have a writers block. This is such a helpful post. I was out of blog post ideas so this will be helpful! Amazing post... I've saved this in my notes for future reference. Thanks so much for sharing. I think you may have covered everything!! Some pretty good ideas in here to keep in mind for the next time writers block strikes!